Aunie Sauce: The Saucy-ness Just Got Upped. Notice a little change around here? Remember that first "Before" header? It had all the amazing little icons below it, and was the first big step I took in realizing the saucy-potential that designs + my words can have on my blog. I had help in creating it, from the amazing lady Michele behind Savvy Citrus. Recently, I wanted to try something different. I contacted Dana at Wonder Forest and arranged an entire blog makeover. I told her I wanted bold, fresh, edgy, and something that I hadn't seen anywhere before. Let me tell you what... she delivered. Not only was the such a pleasure to work with, but she was so FAST! And here's the deal, when I say she was a pleasure to work with... I mean she was exceptionally wonderful. I went to her with "umm's," "uhhh's," "I don't know's," and "I can't decide's" coming out of my mouth here and there. I had NO IDEA what I wanted, but I knew I wanted coral, black, zebra, and funky-fresh. She took my unsure, indecisive, and pain-in-the-neck nit-picky-ness and transformed it into something so bold and amazing... I couldn't be more grateful. Honestly, looking back at the process (which she made rather easy), not even I would want to work with myself. Ever. Seriously... designers out there, if you're looking for that ONE client who wants more, more, more and will pick at every detail... that would be me. And with each and every email, Dana was sweet, kind, responsive, and never left me feeling like I didn't get what I truly wanted. I hope you enjoy the new makeover... go say hi to Dana and show her some of that saucy love you're so good at spreading around! I love it! The header is perfect and it suites you perfectly! It's Edgy. Bold. and Fresh. Just like you. It looks great. I love it! It looks really good. I love it too. I've been thinking about getting someone to do a blog makeover for me cause mine is so plain, but I hate spending money on it yet. Hopefully soon I can afford it. Yours looks amazing! I really love it! I never thought of making the header sort of melt over the tab bar, but that's a totally cool idea!! I'm going to have to try that in my next design. Anyway, this looks totaly YOU! Very cool. She captured your essence very well. Btw, in my experience, most clients react like you when describing what they want, so don't feel too bad. Mainly it's because they haven't had training to know HOW to describe what they want. Design is it's own language and I've just begun to be trained in it, but for someone who has absolutely no technical training regarding articulating the essence of a design, it can be hard to know what to say and how to describe something, simply because they haven't learned the technical words for it or even what is possible to do with a design. Loving the zebra....loving it all!! Looks awesome! I am not the least bit tech-savvy so I'm always impressed with new blog designs. LOVE the new design girl. It looks fabulous. 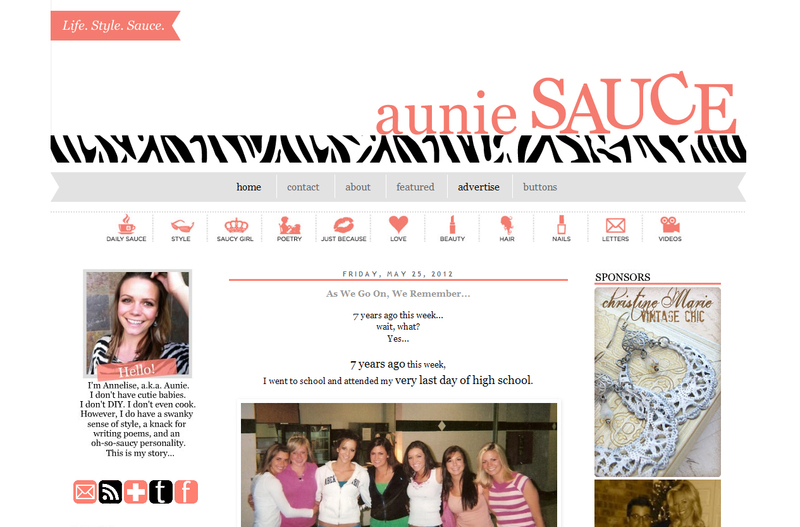 Love the layout and LOVE your blog! Loving the look, girl! It's very you. :) Unfortunately, I don't have the cash for a virtual makeover, so I just have to piddle around PhotoShop myself. :) Much love!